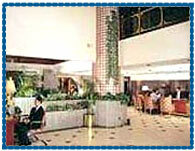 Hotel Central Park Bangalore, Central Park Hotel Bangalore, Reservation for Hotel Central Park, Bangalore, India. Address: No. 47/1, Manipal Centre, Dickenson Road, Bangalore- 560042, Karnataka, India. Accessibility: 8 kms. from Bangalore Airport, 3 kms. from Railway Station, 5 Kms. from Bus Stand. Hotel Central Park is situated in the hub of the business district of Bangalore, within easy reach of shopping malls, theaters, eating joints and corporate addresses. 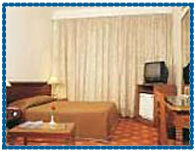 Hotel is well equipped, affordable and friendly, catering both the leisure as well as corporate veterans. Hotel offers features 130 guest rooms having reflection of modernity and advancement and equipped with 59 channel color television, multi-line telephone connection with voice mail, high speed internet connectivity, mini bar/fridge, snack basket, safe and locker, laundry, housekeeping service and round the clock room service. Front Desk, Business Center, Complimentary Breakfast, Concierge, Elevator, Free Newspaper, Free parking, Bar, Banquet, Restaurant, Safe Deposit Box, Lounge, Coffee Shop, Room Service, Room-Service 24 Hours, Bus Parking, Indoor Parking, Parking, Conference Facilities, Secretarial Service, Non Smoking, Live Band, Satellite TV, Barber, Laundry, Medical, Internet, Travel Desk, Barber Shop, Beauty Salon, Boutiques, Concierge Desk, Currency Exchange, In room telephone service, Express Check-In, Express Check-Out, Florist, Front Desk-24 Hours, Gift Shop, Luggage Storage, Wake up service.